We offer this completely free resource so that you can design your own Kitchen, Bedroom or Bathroom online. If you have your own ideas of how your room should look or wish you you had more control over your own Kitchen, Bedroom or Bathroom design then you're on the right website. Many showrooms out there lack inspiration and your room ends up as a rehash or amalgamation of everyone else's. Unfortunately some unscrupulous showrooms use the design process to squeeze as much money as they can out of you in spite of what you have said you want. By giving you this excellent design tool we believe that you will have a better idea of what you want and that you having clearer vision enables us to offer you a better service. You're not obliged to buy anything from us, and indeed you can freely use this service as often as you like. Should you choose to submit your Kitchen or Bedroom plan to us we're happy to produce a quote, provide advice or do a redesign if you desire. As we offer some of the best online prices for Kitchens, and for Kitchens and Bedrooms via our showroom we're confident that you'll want to buy from us. We're a family business that's been trading for 34 years supplying kitchens, bedrooms, sliding wardrobes and storage solutions. 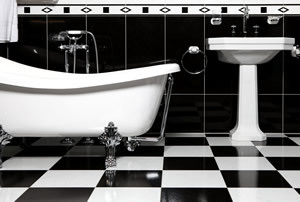 We operate nationally online and via our large showroom in the West Midlands. We have an award winning design team that are available to help plan your room and give any advice you need. We have put together a true high quality product range that more than competes with your local high end independent showroom. Yet we sell the products at a price to beat the inferior products that your average DIY and High Street chains sell. Despite the fact that we sell higher quality products at lower prices, we still offer the full showroom experience. In face we ARE a high end independent showroom, just not a greedy one. Your kitchen is the heart of your home and it's important to get it right. 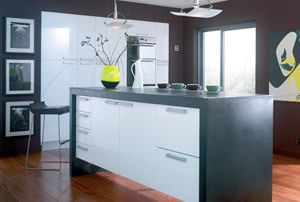 Design a kitchen that works for YOU and that fulfils YOUR requirements. Whether you're just getting ideas or want to a complete kitchen design our online planner will help. You spend up to a third of your life in your bedroom, so it's one of the most important rooms in your house. 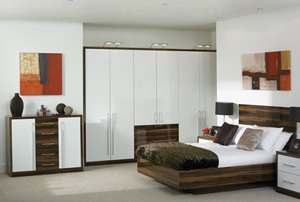 You don't have to settle flatpack or standalone units, you can design a fully fitted bedroom with our online planner. As our design software also allows you to design a bathroom we decided to make it available even through we don't actually sell them. We merely hope that if you are ever looking for a Kitchen or Bedroom you'll return here. WANT US TO DESIGN IT FOR YOU? We appreciate that not everyone can take their vision of a Kitchen or Bedroom and turn it into a plan, that's why we have a professional and award winning design team. Due to the sheer volume of users using this free resource we don't offer support in how to use it or indeed talk to people and explain how to design a kitchen or bedroom. However, if you're seriously looking for a kitchen or bedroom, would be happy for us to quote and are in the United Kingdom then we are happy to do the design work. You will need to speak to a member of our design team if you want to take advantage of this so that we understand your requirements properly. Simply call us to 01384 262525.